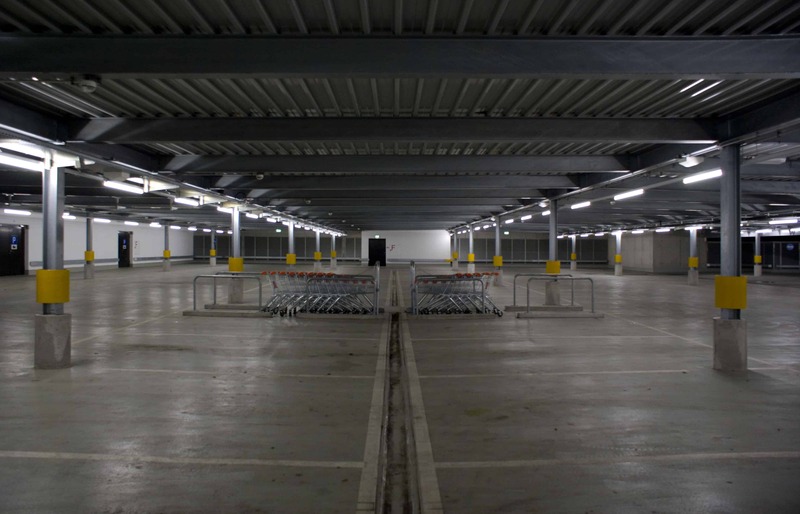 Domain Parking Hosting: We Just Ranked The Best Places To Park Your Domain. If you’ve previously been involved in online or digital work, you’ll be aware of domain names. Domain names are possibly one of the most addictive aspects of being a business owner or e-entrepreneur. Finding the right domain often makes us buy it and pay to keep it ours, whether that’s revenue or costs. On this page, you’ll learn about how you can ‘park’ a domain you might’ve bought early, without spending gazillions. In other words, I will teach you how to secure a domain name you like and keep it for less. What is Domain Parking Hosting? If you’re not quite ready to build your site, but you don’t want to lose the ideal domain, you can buy it now and park it until you’re ready to use it. Most hosting providers offer this service for free if you either buy a hosting plan or the domain from them. It happens to a lot of people at one point or another. You come up with a brilliant idea for a website. You run to your computer, look up the domain, and find out if it’s available. But you aren’t quite ready to build a site and launch a business. You should probably go ahead and buy it anyway. But what to do in the meantime? Eventually, you are going to build that site. But you’re busy, right? And building a site takes up a lot of time. So what do you do with that domain until you’re ready to build it out? Who's Best for Domain Parking Hosting? We think HostPapa is the best choice for Domain Parking. (Billed as $1 Per Month) ⓘPrices in are approximate, based on current exchange rates. The host will likely charge you in USD, or at a different exchange rate. (Billed as $3.75 Per Month) ⓘPrices in are approximate, based on current exchange rates. The host will likely charge you in USD, or at a different exchange rate. (Billed as $1.89 Per Month) ⓘPrices in are approximate, based on current exchange rates. The host will likely charge you in USD, or at a different exchange rate. (Billed as $2.33 Per Month) ⓘPrices in are approximate, based on current exchange rates. The host will likely charge you in USD, or at a different exchange rate. (Billed as $4.18 Per Month) ⓘPrices in are approximate, based on current exchange rates. The host will likely charge you in USD, or at a different exchange rate. ‘Parking’ isn’t a specific process. It’s more like an idea. Do something, anything, with that domain name so that when people get to it from their browsers they see something other than a blank page with no response. Usually, parking just involves putting up a one-page HTML document at the URL, with some basic content. This may or may not be related to your future website. Well, anyone can and should. Great domain names are often difficult to come by, hence why it’s worth snatching up the right one. Business owners, enthusiasts, tech geeks and most commonly entrepreneurs park domains regularly. Domain purchasing can be addictive, due to the important nature of its relevance. For this reason, parking is a popular choice for many individuals. Simply buying a domain and then not doing anything with it does reserve the domain, and keep anyone else from buying or using it. Without parking it, the domain will simply sit idle, and should anyone happen to type the domain into their browser, they’ll find a blank page. Actually parking the domain gives you a bit more control over what appears on that page if anyone visits your domain, and also gives you more options. What To Put on Your Parked Domain? Additionally, you can put some basic content there related to the topic of your planned website. This can help with the initial indexing of your site with search engines and have a positive impact on your SEO efforts down the road. You can even put ads on the page and generate some passive income from visitors to the parked domain page, or at least the ones who haven’t figured out how to install an ad-blocker in their browser. Parking a domain provides a defense against cybersquatting. Alternatively, someone registering a desirable domain name with the intent of making people who want it, often organizations with brand names, pay for it at inflated prices. Inflation of domain prices is a serious issue, with hundreds if not thousands of domain dealers out there. While it is classed as an issue, it can also be considered as an economy of it’s own. One major reason to park a domain is to redirect it to domain names you already have. For example, you might have a .com address and want to redirect people who type the .org address by accident. Or you might want to register different misspellings of your domain name. This way, when people mistype your address in the URL bar, they’ll always get to your website. Cybersquatters also love to register misspellings if they can. Domain parking is a way to preserve your brand online from fat fingers and unscrupulous characters. When you type the name of a website in the URL bar, such as whoishostingthis.com, the domain name is not what your computer uses to load the website. Your computer asks a server, known as a nameserver or DNS (Domain Name System) server, what IP address corresponds to a domain name. Usually, this server is provided by your ISP. Alternatively, you might use a service like OpenDNS or Google’s DNS servers. The great thing about DNS is that it’s a distributed and hierarchical system. At the top are the servers handling the Top-level Domains, or TLDs, such as .com, .edu, .org, and others. They’re called top-level domains because these servers are at the top of the hierarchy of DNS servers that are consulted. Lower down are the servers handling individual websites, such as whoishostingthis.com. Organizations also have DNS servers serving websites. Some are devoted to quickly returning cached queries. DNS’s distributed, hierarchical nature makes it very robust. It’s been in place since the 1980s for a very good reason. When you point your browser at a website, the DNS server will return an IP address. If the server doesn’t know the address, it asks other servers, which ask other servers down the chain until either the right server, known as the authoritative server, answers with the domain name or it returns an error. This process of querying multiple servers is known as recursive name resolution. For a popular website, when you type it in you’re likely getting a cached version. Server caches can cause problems by going out of date when a nameserver changes, but this is rare. Caches usually update pretty quickly. ICANN, or the Internet Corporation for Assigned Names and Numbers, is the non-profit organization tasked with keeping track of all the domain names that have been registered. You buy your parked domain name from a registrar. There are many registrars around the world. Many of them also double as hosting companies. It’s become more common for hosting providers to throw in domain names as a perk of using their service. These free domains are a kind of loss leader to convince you to sign up for their services or to buy more expensive services like VPS. A good example of an unexpected registrar and host is Namecheap. Many people are often surprised to find out they offer hosting services. You are free to amend your Nameserver at any point. After you’ve purchased your domain name, it’s a matter of pointing your website at the right nameserver. The hosting company will supply you with the address of their name server. These days, many hosting companies provide a control panel, such as cPanel or Plesk. You just navigate to the web-based panel and paste the right addresses in a few text boxes. The host then takes care of the rest. Alternatively, if you’re technically inclined, you might log in to your server via SSH and edit the configuration files manually. The most popular DNS server is the Berkeley Internet Name Daemon or BIND. The process is rather complicated, so much so that there are entire books devoted to the configuration alone. Using a control panel will get you up and running much more quickly than editing the often arcane BIND configuration files. Place an ‘under construction’ page. Let’s look at all of these in more detail. 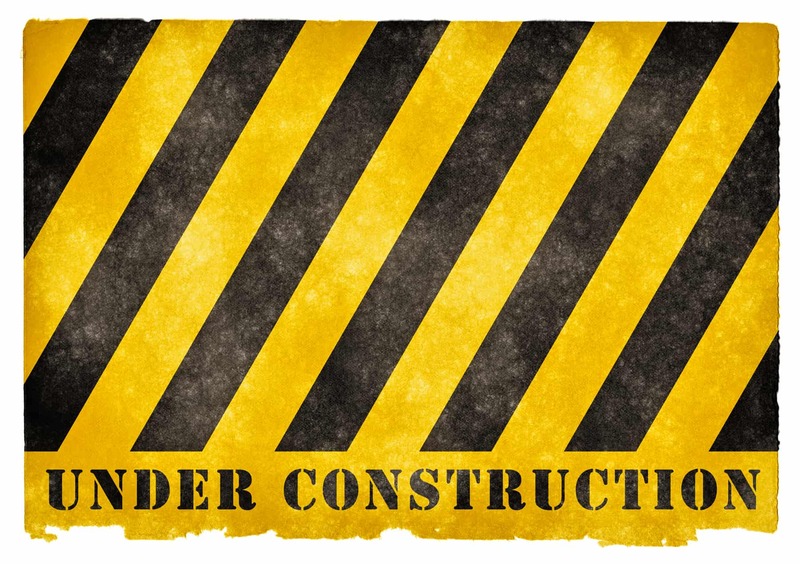 If you park your domain, you can put up a ‘coming soon’ or ‘under construction’ notice, perhaps with a bit of information about the site you’re planning, in order to build a little interest in the site you’re building and planning to launch at a later date. A coming soon page might even include a lead-capture form, allowing people to sign up to receive information about your venture when you are ready to launch. Also, if you are looking to provide a little boost to SEO, you can create some dynamic content by pulling in an RSS feed that displays content relevant to your site. In some cases, you can also monetize a parked domain by placing ads on it. Should anyone happen upon the domain, they’ll see the ads, and if they click any of them, you make a small commission. This may be a better idea for those who have large collections of unused domains, or those who own domains that are commonly searched for and have the potential to see more traffic. Another option a parked domain gives you is redirection and securing your brand. When you come up with that brilliant business idea, you may decide to not just buy the .com, but also the .net, .org, or other extensions in an effort to keep others from buying and building them, thereby securing your brand. You can then redirect yourdomain.org to yourdomain.com so you don’t lose any traffic if anyone accidentally types in the wrong URL when searching for your business. You can also buy misspellings of your domain name so that they’ll redirect to the correct site. If a domain name expires, you can buy the unclaimed domain. If it’s a well-known domain, you’ll have to move quickly before someone else snaps it up. These are all examples of ways to defend against ‘cybersquatters,’ or people who register desirable domain names like those of major brands. You can beat them at the punch by registering domain names before they do. Many hosting providers are also domain registrars and offer the ability to park domains for free until you’re ready to build them out. Some hosts will do this automatically, and fill the page with their own monetization ads, or allow you to collect the ad fees from the automated content. WordPress has some brilliant under construction plugins too. Another common hosting feature is automatic ‘Under Construction’ pages. This is domain parking under a different name but isn’t usually called that by the hosting company. They provide control panel tools for setting up a simple ‘Coming Soon’ pages. Finally, some hosting companies specialize in domain resales and provide easy tools for setting up a parked domain that displays pricing and contact info. What Kind Of Hosting Should I Go For? The kind of web hosting you’ll need depends on what you want to do with your parked domain. If you want to simply leave a small landing page up, you don’t need a lot of storage space. The same goes for a monetized page. If you plan to build a website in the future, you’ll want to look at your needs. Will a shared server be adequate, or will you want a dedicated server? You should look at your needs right now. If you buy a comprehensive hosting plan for traffic that doesn’t materialize, you’ll waste your money. Cloud hosting plans let you buy smaller capacity for lower traffic sites and ramp it up when you get more traffic. If you’re a business owner going online and are adamant about your presence or success, by all means, spend large. How Do You Park A Domain? Is your desired domain available? Check. Let’s go through these steps with a little more detail. Before you go ahead and excite yourself, check if your desired domain is available. If it isn’t, think of similar ways of making the name work, alternatively, check out other TLDs. Sometimes, it’s worth getting a simpler domain, such as ‘.agency’ or ‘.biz’, since it could work for your business. Doing this right can save you tons of cash. Finding the right domain is simple if you use your imagination. You just register the domain name(s) that aren’t being used with a registrar. Be sure to have a browse before you commit, just so you get the best available deal. As mentioned earlier, many of the major web hosting companies also double as domain name registrars. If they don’t, you can usually buy a domain name as an add-on or from a separate company. You may already be at this step if you purchased a domain name via a hosting company. If you have purchased one with a hosting plan, it’s time to set-up that parked domain. If you purchased a domain at a registrar and found an appropriate hosting plan, it’s time to find a host. Look for the best possible deal in terms of what your individual needs are, take your time. It’s worth taking an hour to read our visitor’s reviews for your selected shortlist. With your new domain name in hand, you’ll have to set up some sort of landing page. The hosting provider you’ve chosen might do this for you. If your HTML skills aren’t up to snuff many providers have graphical site builders available. After you’ve purchased your domain name, you have to point a nameserver at it. Fortunately, this is easy to do even for nontechnical users. You just go into a control panel like cPanel or Plesk and put in the appropriate fields and the hosting company will take care of the rest. Time to see my recommended hosts from a professional and logical perspective. All the below are solid choices, should you prioritize domain parking as a feature, although it’s worth considering the perks and setbacks, which I cover in some detail. Namecheap is one host that’s good for domain parking. For one thing, it’s dirt cheap.You can register domain names without a lot of upsells and lots of TLDs to choose from. Namecheap is domain registrar that’s branched out into web hosting as a “one-stop shop,” which is true of all the other hosting companies suited to domain parking. 1&1 Hosting is also an attractive option for those looking to park a domain. They have very cheap shared hosting plans. You can register a domain name, of course, but the control panel makes it easy for first-time users to set up a website. Domain.com is another provider that specializes in domain names if the name of the company isn’t a dead giveaway. They offer unlimited bandwidth and disk space, which is also very attractive for those wanting to park domains. David Delony is a technology enthusiast based in the Pacific Northwest. He has experience with various web technologies going back to his teen years. David has experience covering technology topics ranging from networking to video games to operating systems.